Ultra PK has been specifically developed to perfectly balance your NPK and micro elements in all stages of vegetative and generative development. The Ultra PK formula prevents phosphorus from depositing at pH levels 6.2, promotes availability of Ca, Mg and trace elements and keeps your drip lines clean. Use&Dosage: Use in combination with all Gold Label Base Nutrients, 0.5ml–1ml/litre. Never combine pure nutrients together, always mix in water. Shake bottles before use, store at room temperature. 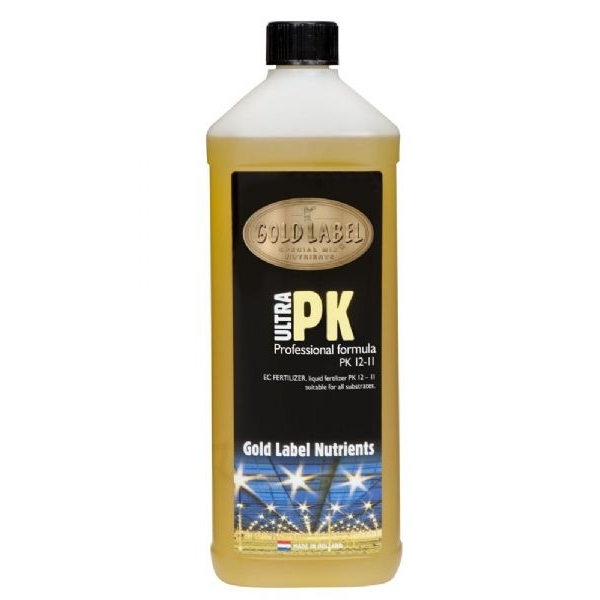 Recommended for all Gold Label substrates.